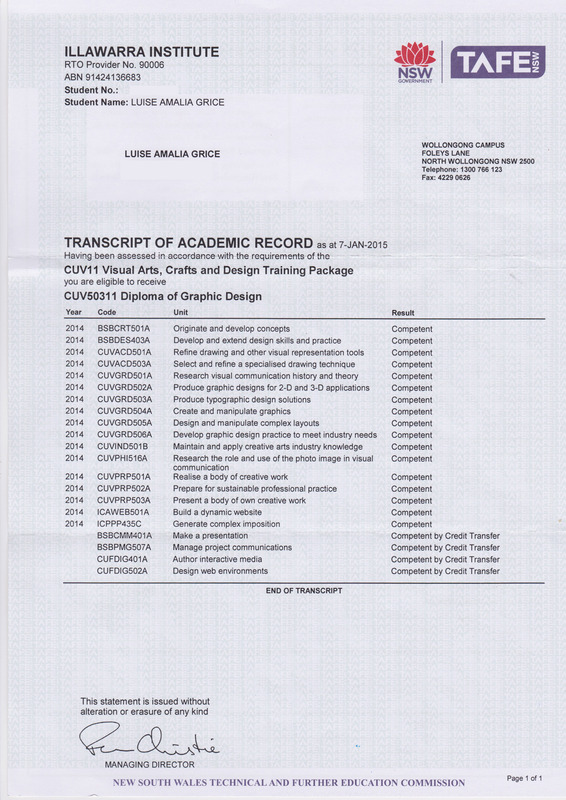 Somehow, even after two uni degrees, this one seems to take the cake – a Graphic Design Diploma! Is it that it is more aligned to my role of teaching design? Perhaps the timing is right? Or more likely it is simply that I have found my calling? None the less, this one will be taking pride of place in my studio! I can’t wait to take it to the next level .. but will little ole Nowra TAFE [even Wollongong TAFE] offer that level? No, they don’t. Well then, perhaps it’s time I made use of the skills I’ve learned and created something satisfying and worthwhile? Like some of the work I created for the diploma.